THE INDOMITABLE PREDICT AND WIN PROMO. 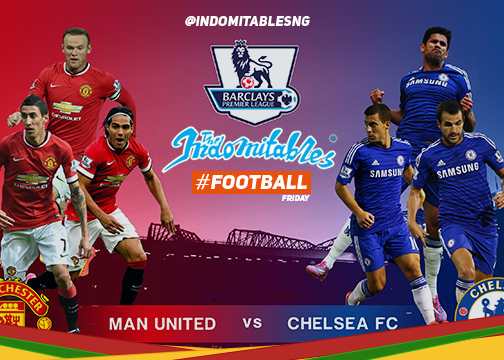 This week we looking at the match between Chelsea and Manchester United this weekend. Man U have sure been on some fine form of recent,and chelsea are the current league leaders Hmm this is going to be one interesting match to watch!. so fans,who do you think is going to win this match? Send in Your Predictions to us via twitter and facebook,Two lucky winners win two cartons of indomie each!